Oh boy, this is going to be a rough one. 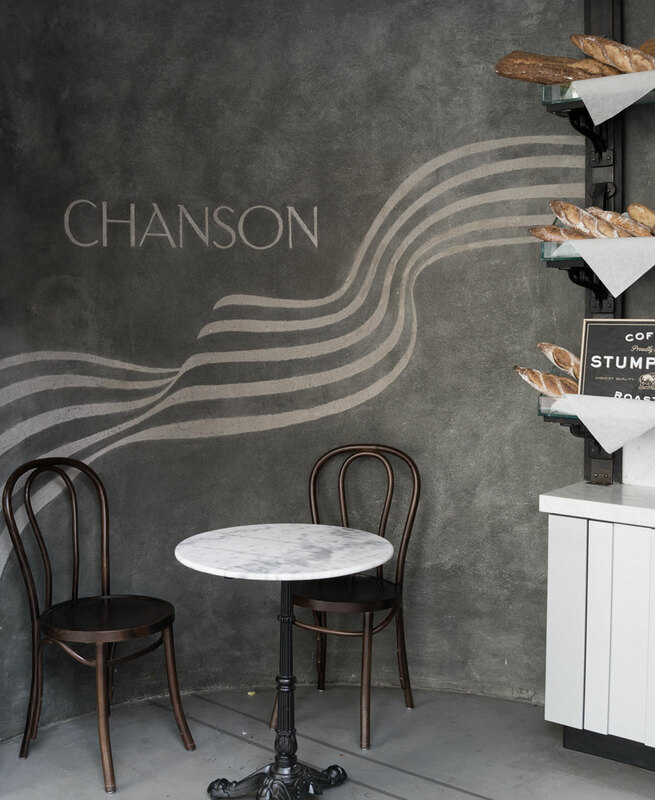 Chanson, a new bakery in Flatiron, with their amazing black sesame kouign amann started offering afternoon tea. Of course I was excited and I met up with fellow afternoon tea fan, Bethany for what I was hoping would be a memorable tea service. Oh yeah, it was. 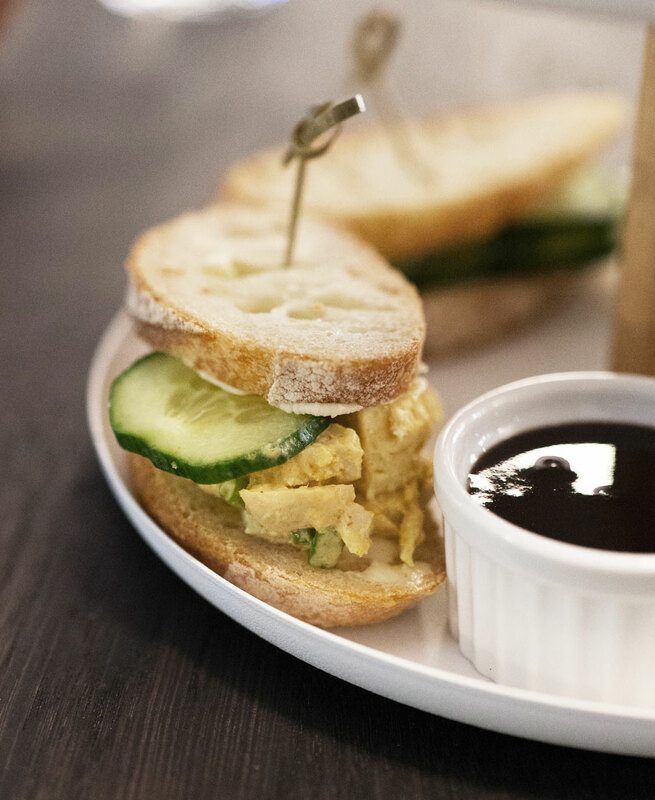 At the back of the clean, minimal bakery is a dark cave where you can get table service. The seating is cute with a mix of tables and chairs along one side and bar stools and counters along the back facing the kitchen. Our server was very sweet and friendly but was nowhere to be found the last 30 minutes of our tea service. We had to hail down another server to ask for the check. I’m knocking off a point for her answer when Bethany asked her if there was an order in how to eat and she incorrectly replied that there isn’t a formal order. WRONG. (Give me a sec to take some deep breaths.) Of course you can eat in whatever order you want, but there is an order. 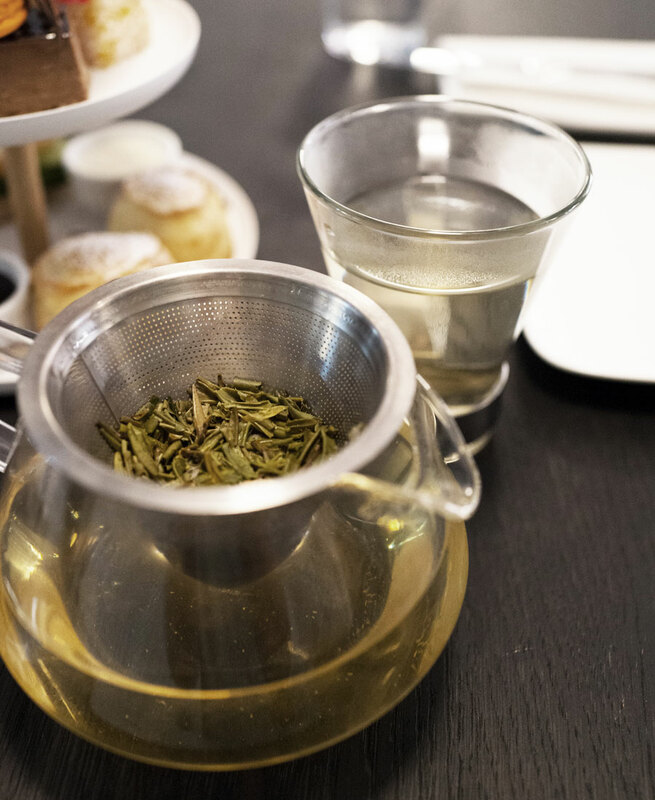 They serve tea from Bellocq Tea Atelier and have a handful of selections of black and green teas. Served in a glass teapot, the filter sits on top so once you drink the first cup, the tea isn’t sitting and steeping longer than necessary, which is always a good thing. I got the Dragonwell, a green tea. 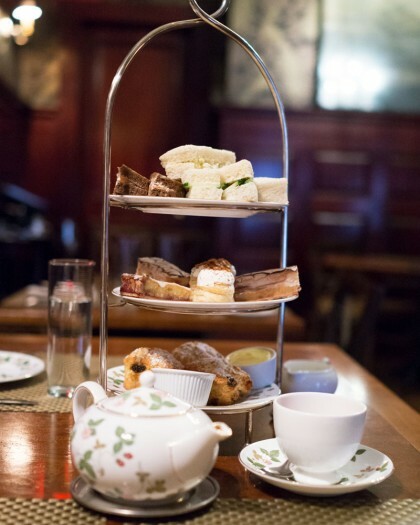 Want a downloadable list of all the afternoon teas in NYC? Subscribe to my newsletter and get the list! Thank you! 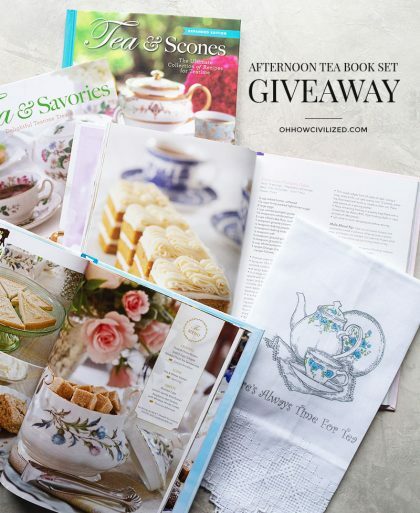 Please check your email to confirm your subscription and to download the AFTERNOON TEA LIST. 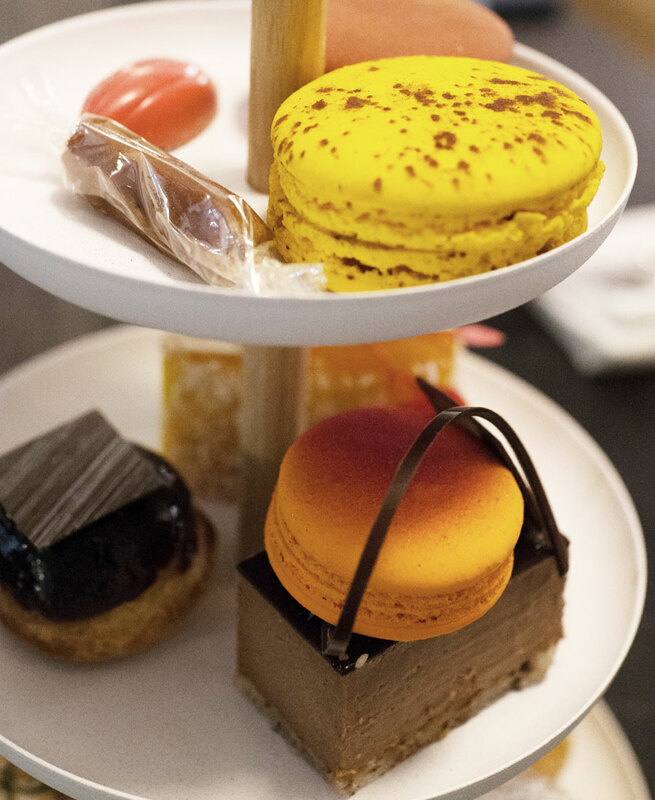 Chanson offers two different types of afternoon tea, one with and without champagne. I got the one without, and it was $24. Wow, $24 for afternoon tea! What a bargain you’re thinking, right? I thought the same thing — then the tray arrived. On a cute three tired tray are two small sandwiches and two scones at the bottom and sweets on the upper two trays. Wow, this is perfect for afternoon tea for one! I asked the server where the other tray was since we ordered two afternoon teas. I was told this was it. This is afternoon tea for TWO. TWO, people, TWO. What made it even more confusing was that each food item except for the scones were all different, meaning if you wanted to try everything, you needed to cut it in half. WHY???? (Taking a couple of more deep breaths.) I have no idea why they didn’t offer two of the same things (I would have been ok with smaller portions) since we did get two servings. Two tea sandwiches which were impossible to cut since the baguette bread didn’t have much give. I will say the bread itself was tasty but the fillings were completely forgettable since I can’t even remember what they were. Served with cream and jam, they were fine. You know what’s a great way to get rid of stale macarons? Serve them for afternoon tea! Both macarons on the top tray were completely old. The sweets on the middle tray were very cute and tasty, but again, having to cut everything was such a huge turn-off. Good luck trying to cut that little cream puff in half! Huge mess. Also, the balance was off with way too little savories compared to sweets. 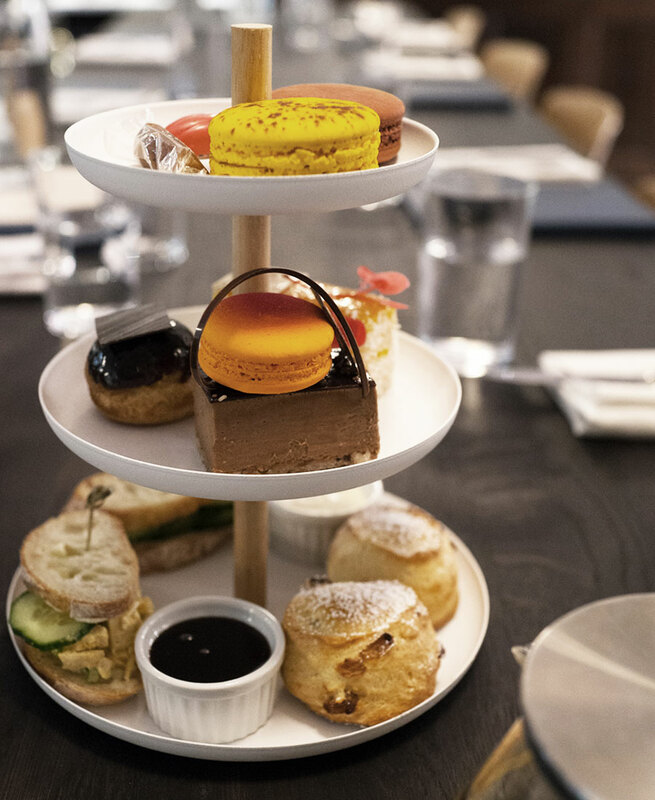 This afternoon tea concept totally felt like an afterthought — I can imagine them thinking, if it looks cute, who cares if someone pulled it together last minute with leftover pastries? Run away from their afternoon tea service and get $24 worth of their kouign amanns instead — you’ll be much happier. 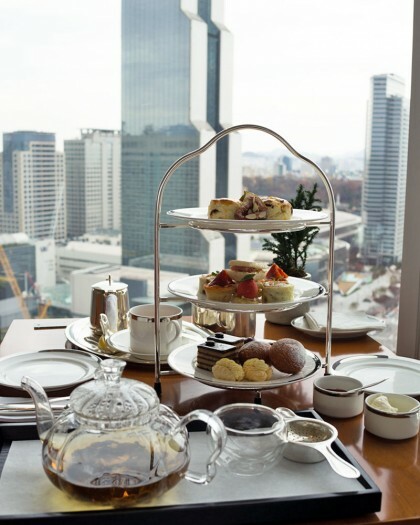 AFTERNOON TEA HOURS: Daily, 3PM – 6PM | They don’t take reservations. Yikes! It definitely sounds like I’ll be skipping afternoon tea here. There’s so much competition in NYC. They really need to get their stuff together if they want this program to succeed.